I passed on this because I didn’t really want to read another book about oppressed women. It does sound frightening, but as you said, if it didn’t feel believable, it probably won’t to other readers either. Awesome review! Thanks so much! I think with this type of book, it’s easy to start feeling like you’ve read it all before. Though unique, the topic of this book has been used again and again in many dystopian stories: oppressed women in a male-dominated world, with only a small scientific explanation of how things are done. It does sound intriguing but maybe not for me personally. Exactly. At some point, it feels like it’s all been done already, which may be why I was frustrated by the lack of specifics on how this particular scenario was fully enacted. I find most dystopias implausible, but I’m still interested in this one. The comparisons to The Handmaid’s Tale made me put myself on the waitlist for it. Great review! Would love to hear what you think! It feels like every dystopian novel with women’s rights stripped away ends up compared to The Handmaid’s Tale which, honestly, doesn’t do the other books any favors. 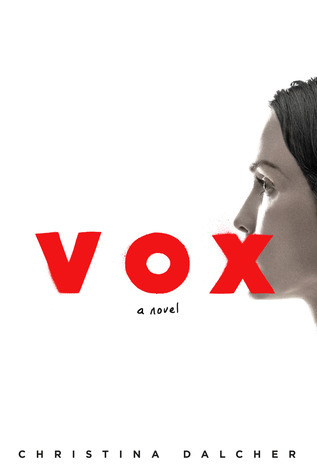 I really enjoyed Vox, but I don’t read a ton of similar books. A lacking premise is always a distraction so I can definitely understand that. I’m glad you enjoyed it! I was never bored while reading, just had a hard time buying into it at times.